Have you experienced CanaDream? Help others learn about this company by sharing your first-hand information with other road-trippers. 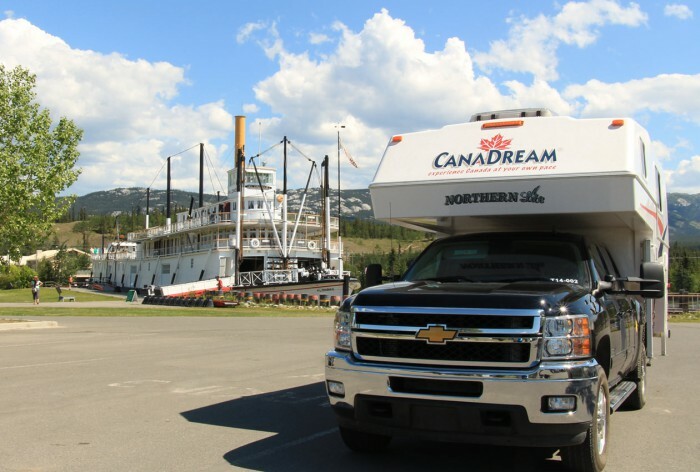 Canadream has been in the industry since 1995 and was later acquired by a well-known RV company around the world, Apollo Leisure Group in 2017. 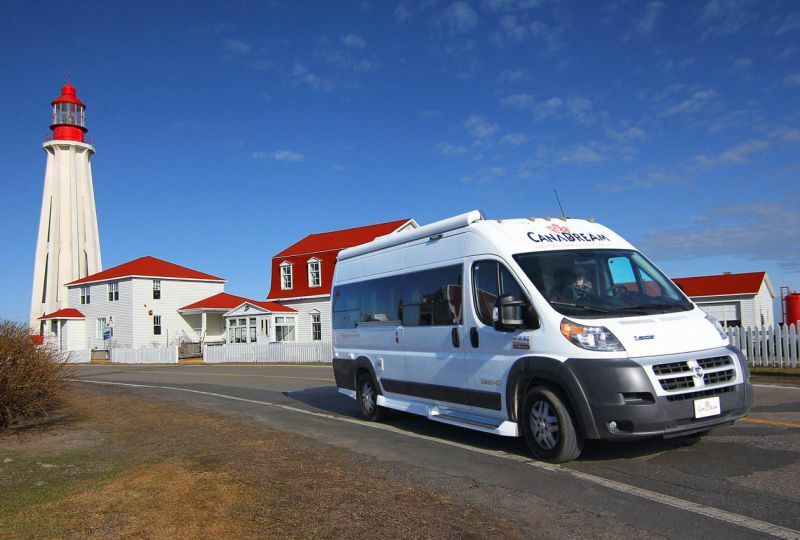 Renting and selling a fleet of high-quality motorhomes, the company has branches in Calgary, Edmonton, Halifax, Montreal, Toronto, Vancouver, and Whitehorse. 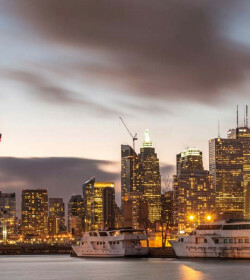 As part of a luxury group like Apollo, Canadream makes sure to keep abreast with top-notch fleet and service, hence offering free shuttle service between airport or hotels, depending on your location. 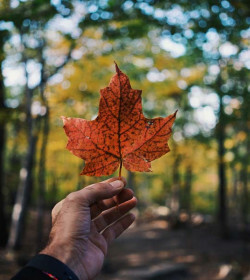 Their RVs can travel around the USA, and northern areas like Alaska, Newfoundland, and Labrador for an additional fee. 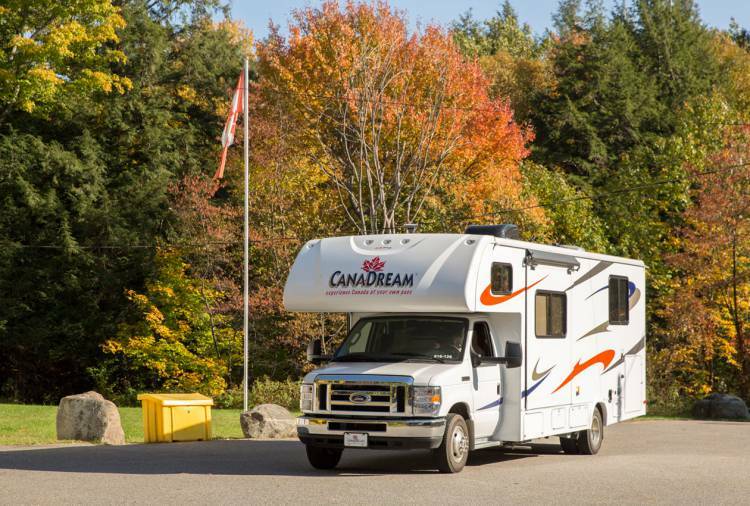 Featuring a fleet of around 800 motorhomes, you’ll never run out of options with Canadream. All units are automatic, complete with cooking facilities, refrigerator, and shower and toilet. Either in gas or diesel engine, these motorhomes cater to different sizes, from couples to families. Their largest units can comfortably accommodate a group of up to 6 people. Also, they have great options for couples or starting families. 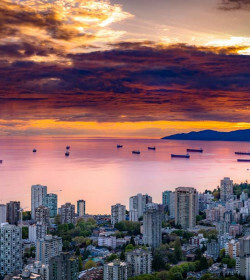 Distinctively, they offer the ‘Run of Fleet’ option for couples or families up to four, which means that they agree to accept whichever vehicle the company gives on the day of pick-up. 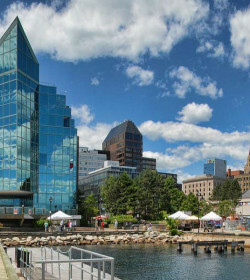 Additional items such as lawn chairs, bike racks, child seats, GPS, toaster, and electric heater are available for rent. 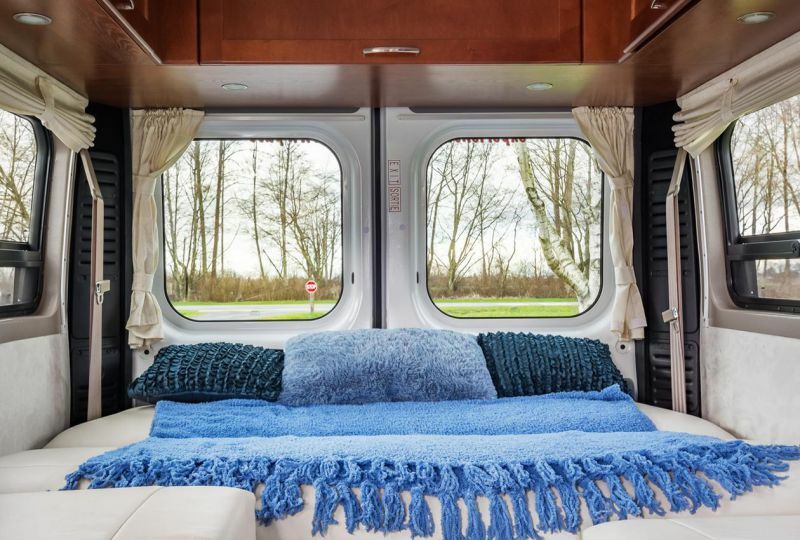 One of the most unique campervans on the fleet is the 3 berth Maxi Travel Camper built for adventurous trips. The campervan is smoothly fitted on a new 4x4 truck model, giving a more sturdy unit features. Just like most campers, this one is fully equipped with all you need. The interior design spells out practicality with a hint of comfortability. The main sleeping area is perfect for two, with plenty of headroom to move around. 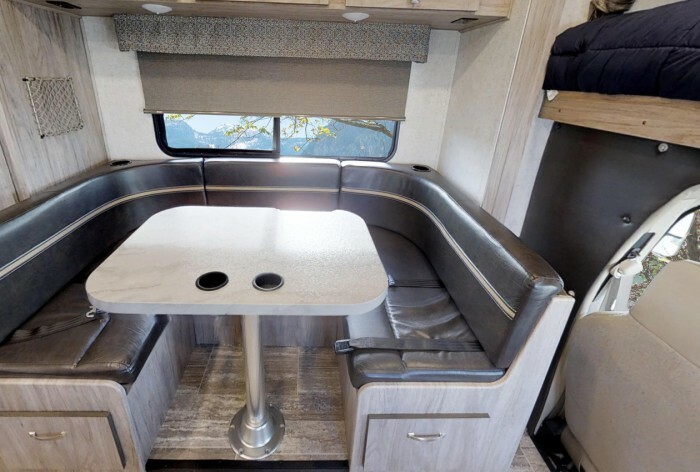 The extra passenger can retire on the dinette bed in the living room. Both sides of the overcab have windows for cool ventilation at night. Plus, there’s an exterior shower for extra convenience. 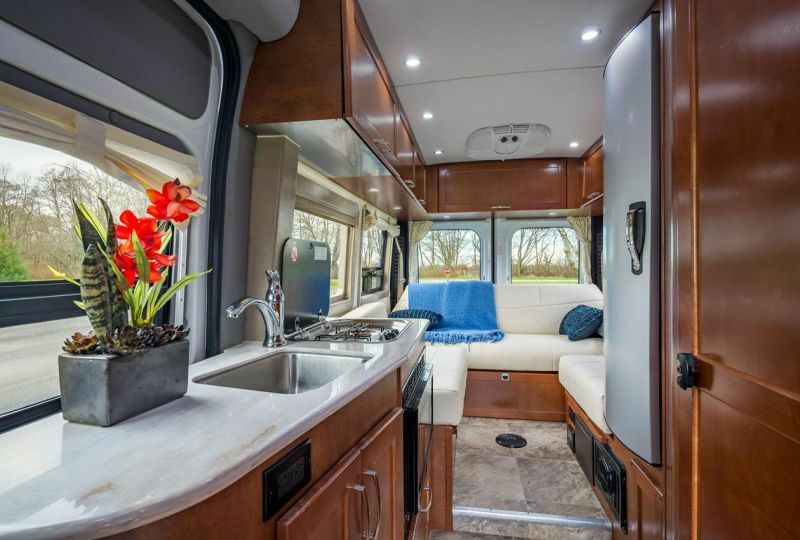 For those picky travellers needing luxury space, this Class C Maxi is the perfect answer. 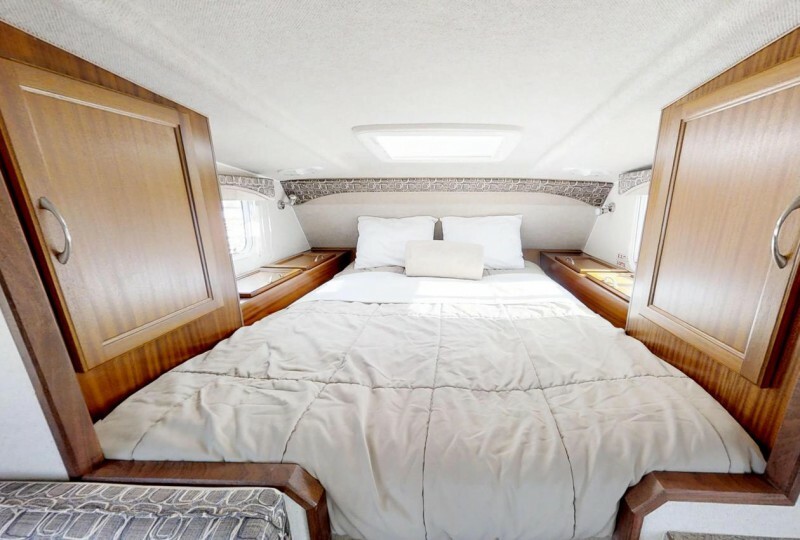 At 28’ with up to 7’ high ceiling, it comfortably sleeps a family of six, four adults and 2 children. Inside, you will enjoy cooking in the functional kitchen with large fridge, stove, microwave, oven and storage cabinets. 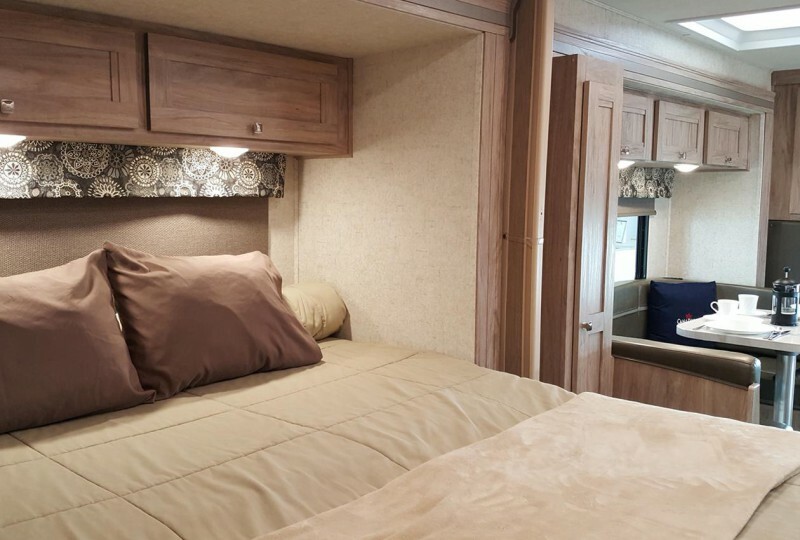 The cab-over area allows you to choose over two or three single beds or one queen size. 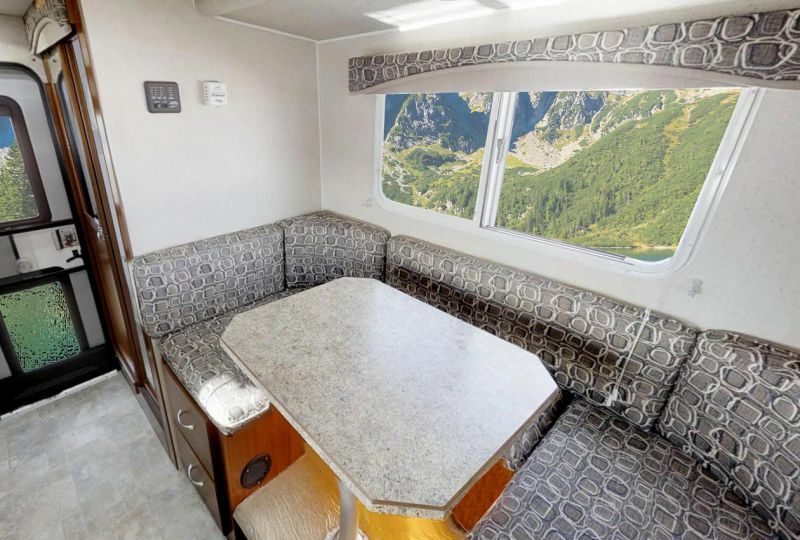 If you want a private space, you can opt for the rear queen or the dinette bed. Slightly smaller but still sleeps 6, the Midi Motorhome is fitting for big groups. Its compact layout and elegant finishings provide accommodation for 4 adults and 2 children. The functionality of the kitchen gives way for essentials like a spacious pantry, large fridge, oven stove, and lots of overhead cabinets. Plus, the cab-over area comes with two single beds, ideal for the 2 kids. The ideal option for 2 adults and 2 children, the Class B Super Van Camper has all the features for couples and small families on a touring holiday. Featuring one full wall slide, the interior becomes more spacious and complete with all the essential facilities, from the kitchen to the bathroom. 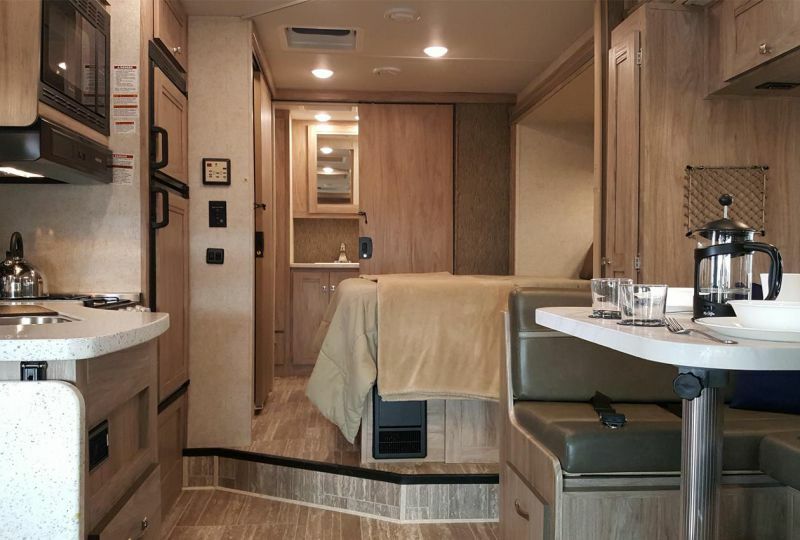 Sleeping options are at the permanent rear bed and convertible dinette. The bathroom located at the back is nicely furnished with a stand-up shower and flushable toilet. To complete the rental fleet is this 2 berth Deluxe Van Camper. 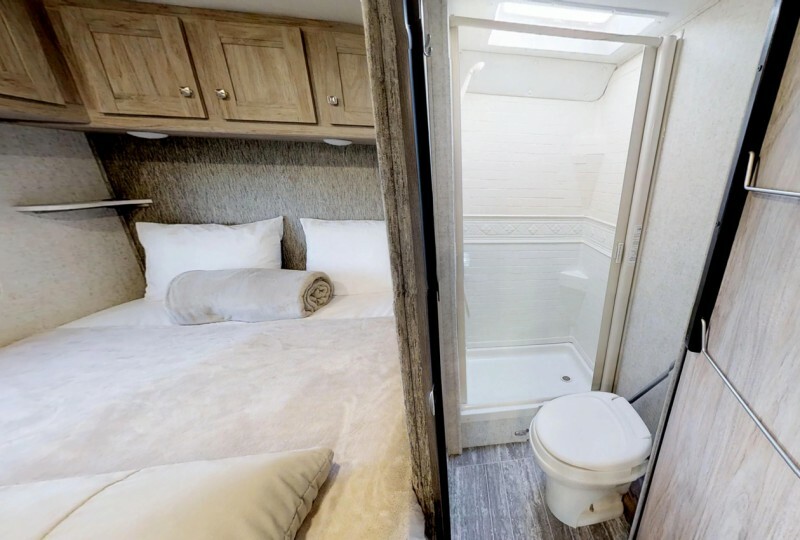 Suitable for couples looking for a spacious unit, this economical camper drives like a car but furnishes all the appointments of a big campervan. As part of their latest addition, you’ll be happy with the premium quality, as well as the functional design of the camper. 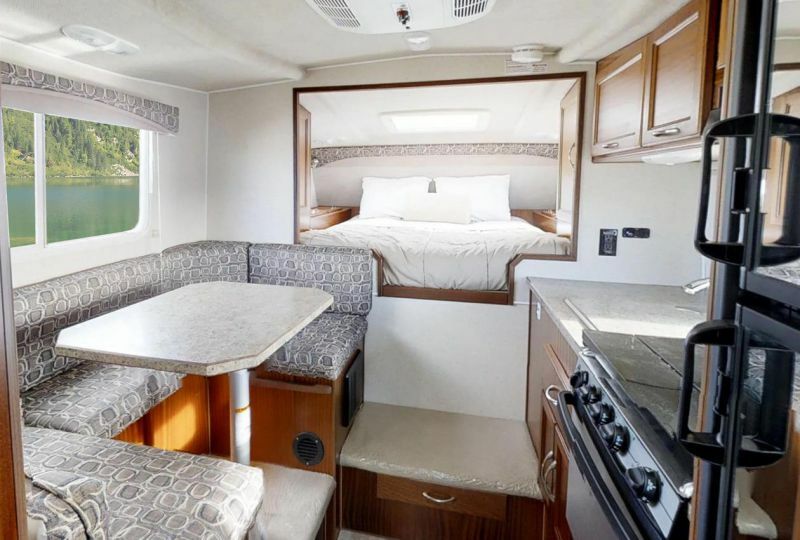 The kitchen is equipped with two-burner stove, sink, and microwave, while the private rear bed comes with a comfy foam mattress and overhead cabinets. Depending on your age, deposit ranges from $750.00 to $1500.00 via credit card, which will be required at time vehicle pick-up. This amount corresponds to the collision and comprehensive insurance deductibles offered by the company. Make sure to read the fine print before getting the keys. Also, do take note that Canadream applies a $100 administration fee per incident. 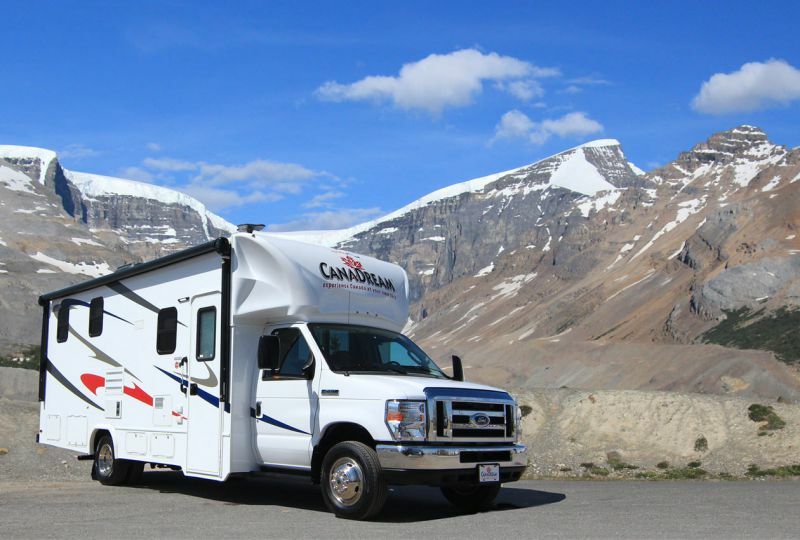 As one of the biggest RV rentals and sales in Canada, Canadream can give you a good run for your money or even more. 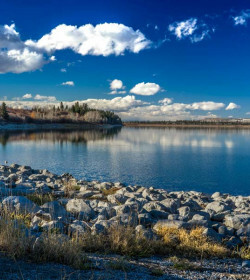 They have plenty of RVs for rent and sale and 7 convenient branches across Canada. Their good reputation extends to their good rental perks that include one-way rentals between their depots and quality service. 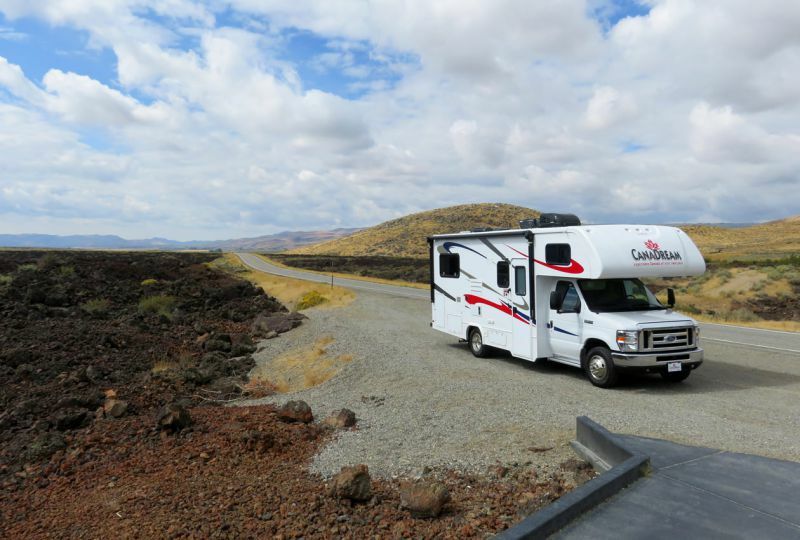 With an extensive fleet of rental options and plenty of depots, Canadream is a decent and convenient RV rental company for a nice holiday.